a local wireless solution to give you fast internet at a reasonable price. 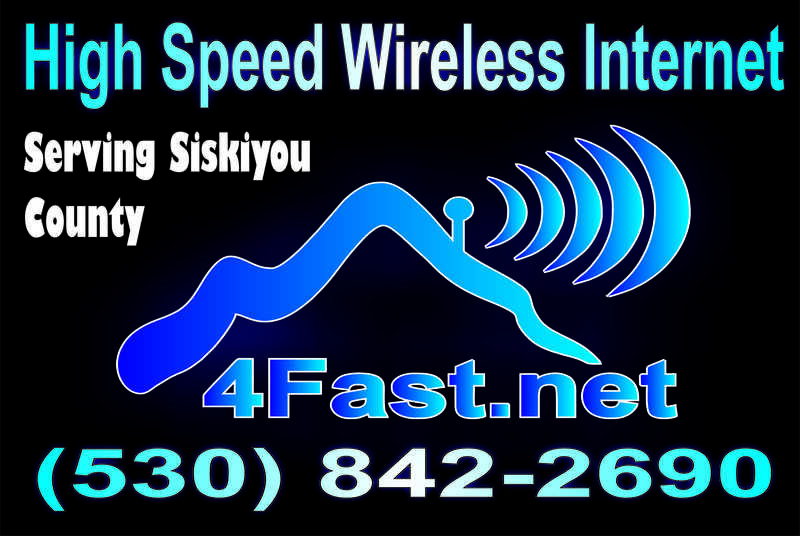 4fast.Net has increased the coverage area in Shastina and Weed area. Call or fill out our contact us page to see if you can get High Speed Internet.